The drug, which is known by the names Melanotan and Melanotan II is a synthetically-made hormone that stimulate the body to produce melanin, which gives the body a deep natural tan without the sun. It is most popular with athletes and fitness enthusiasts who prefer not to expose themselves to sun damage. As well as protection against burning, Melanotan, is also credited with boosting libido and an appetite depressant which hasled to it being nicknamed the ‘Barbie drug’ or ‘paradise pill’. Despite its popularity, the American-made drug, has never been licensed for public use either in the US or Europe. But it continues to be sold illegally over the internet and in gyms and beauty salsons for up to £250. In the UK the Medicine and Healthcare Regulatory Agency (MHRA) has issued a warning over the drug because not enough is known about the possible side-effects. In addition, people injecting themselves run the risk of contracting HIV or other viruses from dirty needles. David Carter, head of the MHRA unit for ‘borderline’ drugs, said people should not be fooled into thinking it was safer than the sun and warned anyone who had them not to use them again. Anyone who has used them should see a doctor, he said. “The safety of these products is unknown and they are unlicensed in the UK. The side effects could be extremely serious,” he said. San Francisco: A new ‘smart drug’ which halts pain and disability for almost half of rheumatoid arthritis patients could go on sale in months. The drug, called Tocilizumab, has not yet been licensed in Europe, contains a laboratory-made anti-body that blocks interleukin-6, an immune system messenger involved in the inflammation process of the disease. Drug maker Roche hopes to get a licence for sales next year. The latest results from a trial carried out in 15 countries are to be presented to the American College of Rheumatology meeting in San Francisco. It looked at the effects of Tocilizumab prescribed with the standard drug treatment, Methotrexate, compared to Methotrexate alone in 1,190 patients with moderate to severe rheumatoid arthritis. The combination treatment slowed structural damage of joints in patients with rheumatoid arthritis by 85 per cent, compared with 67 per cent in those on standard treatment. Researchers found 47 per cent of patients on combination treatment achieved remission – where the disease stops advancing – compared with just eight per cent of those treated with methotrexate alone. London: The pharmaceutical industry today called for a public debate on access to modern medicines, and how society determines the value of new treatments. The Association of the British Pharmaceutical Industry (ABPI) is inviting NICE, patient groups, medical professionals, the NHS and leading healthcare charities to debate the issues amid continuing controversy on the availability and cost of innovative medicines to NHS patients. “A frank, open and honest debate is clearly in the interests of patients,” said Chris Brinsmead, President of the Association of the British Pharmaceutical Industry (ABPI). The pharmaceutical industry spends approximately £3.9billion a year in the UK researching and developing new medicines for patients. This investment has delivered over 90 per cent of the medicines available today and has led to new treatments for rheumatoid arthritis, cancer, heart disease and HIV to name but a few, Mr Brinsmead added. Washington: The US Food and Drug Administration has announced that the manufacturer of Avandia (rosiglitazone), a drug used to treat type 2 diabetes, has agreed to add new information to the existing boxed warning in the drug’s labeling about potential increased risk for heart attacks. Janet Woodcock, MD, the FDA’s deputy commissioner for scientific and medical programmes and acting director of the Center for Drug Evaluation and Research said: “The FDA has moved expeditiously to review the cardiovascular risks of this drug so that we could inform patients and doctors at the earliest possible time of our findings. Avandia is manufactured by Philadelphia-based GlaxoSmithKline (GSK) and was approved in 1999 as an adjunct to diet and exercise to improve control of blood sugar levels. Avandia is approved to be used as a single therapy or used in combination with metformin and sulfonylureas, other oral anti-diabetes treatments. The previous upgraded warning, added to certain diabetes drugs (in class of drugs related to Avandia) on Aug. 14, 2007, emphasized that these types of drugs may worsen heart failure, a condition in which the heart does not adequately pump blood, in some patients. GSK is also developing a Medication Guide for patients to provide additional information about the benefits and risks and safe use of Avandia. So far no oral anti-diabetes drug has been conclusively shown to reduce cardiovascular risk. Consequently, the agency also will be requesting that labeling of all approved oral anti-diabetes drugs contain language describing the lack of data showing this benefit. Boston: A company that distributed human growth hormone to “well known athletes and entertainers” has agreed to pay a $10.5 million penalty and cooperate with ongoing law enforcement investigations, federal prosecutors said on Tuesday. “Express Scripts does not condone the use of human growth hormone for anti-aging, cosmetic or performance enhancement purposes,” the company said in a news release. Specialty Distribution Services “knowingly distributed human growth hormone to certain well known athletes and entertainers, including a well known athlete in Massachusetts, knowing that their intended use was athletic performance enhancement, cosmetic or anti-aging,” in violation of federal law, the U.S. attorney’s office said in a news release. “The public should also realize that human growth hormone has not been shown to be safe and effective for athletic, cosmetic or anti-aging uses, and it must not be promoted or distributed for such uses,” U.S. Attorney Michael Sullivan said in a statement. The company illegally shipped the drugs five times between October 2000 and December 2005, according to court documents prosecutors filed with the agreement. Human growth hormone was sent to a “well known professional athlete in Massachusetts” in January 2002 and again in October 2003 following a doctor’s request, the documents said. The company shipped the drugs to a 6-foot-5, 276-pound “entertainer/athlete” in January 2003 after a doctor said it was “medically necessary,” even though the dosage was typically used for performance enhancement, the documents said. Specialty Distribution Services had pharmacists and other employees who should have recognized the prescriptions as illegitimate, prosecutors said. Under the agreement, it will better train employees to recognize fake prescriptions. Human growth hormone is produced naturally by the body throughout life, but can cause complications when taken in excessive amounts, said Dr. Linn Goldberg, professor of medicine at Oregon Health and Science University in Portland. “When you are a fully grown adult who takes HGH in excess, it thickens your bones and skin, puts you at risk for diabetes and other conditions, and causes fluid retention, joint pain and nerve damage,” he said. Goldberg said he is not surprised that entertainers and athletes are using it, because it can cost $100 per day. Prosecutors said HGH treatment can cost up to $20,000 per year. “Athletes are looking for the fountain of youth, and the fountain of youth is not to be found in a bottle,” he said. London: A new fatbusting drug that makes the body loose 12 percent of weight in a year – faster than any other drug on the market – could soon be available to UK patients. The one-a-day tablet called Excalia which has been developed by US scientists works by tricking the metabolism into running faster. The number of NHS prescriptions for obesity drugs has jumped almost 600 per cent since 1999. Already available in the UK are Xenical, which blocks absorption of fat, Reductil, which makes the stomach feel full, and Acomplia, which reduces cravings and stops the body storing abdominal fat. Britain’s National Health Service spends around £1bn a year on obesity-related illness such as diabetes and the UK the worst problem with overweight adults. The American scientists say the pill also helps weight to come off for longer. It works on the hypothalamus in the brain to boost the body’s metabolism and uses two drugs which are already widely used, against epilepsy and smoking. It also boost levels of a hormone that stops us getting hungry. London: Trials of a new clot-busting drug for stroke victims are taking place in the US and Canada. If successful, the drug, by UK company Vernalis and codenamed V10153, could go into the final phase of clinical trials next year. 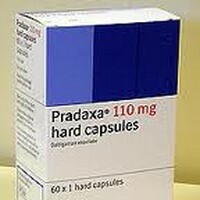 The drug contains a protein that activates when it comes into contact with a clot and breaks it up. It is thought that the drug will be particularly helpful to those who have ischemic strokes, the most common form of stroke triggered by a blood clot in the brain. It can be given up to nine hours after a stroke and still be viable, unlike most current medications. Vernalis medical director Dr John Hutchison said that clotbusting drugs should be administered as quickly as possible after a stroke, but that it was often difficult to get a patient scanned and treated within three hours. Doctors at the Mayo Clinic have discovered that the popular over-the-counter dietary supplement 5-Hydroxy-L-Tryptophan (5-HTP) may have the same contaminant found in a similar supplement banned nearly a decade ago after being associated with a rare and occasionally deadly blood disease. So far, there are no known cases of anyone becoming ill from taking contaminated supplements, Mayo researchers said, but they’re warning people to avoid taking high doses of it for fear of triggering an outbreak of a possible fatal illness. The contaminant is similar to one found in tainted batches of a related amino acid dietary supplement, L-tryptophan, which killed 30 people and sickened more than 1,500 in 1989, said Dr. Stephen Naylor, one of the Mayo researchers. It had been used by an estimated 15 million Americans as a remedy for depression, premenstrual syndrome and insomnia. Since then, the supplement has been replaced by a version called 5-HTP or sometimes 5-OH-Trp, which is derived from a plant, sold over the counter and promoted for variety of problems by several manufacturers. Now Naylor and his colleague, Dr. Gerald Gleich, found the contaminant, known as “peak x,” in all six batches of 5-HTP that they sampled from health and nutrition stores in New York and Rochester, Minn. The same contaminant was linked to a small outbreak of a disease known as eosinophilia-myalgia syndrome (EMS), in 1991, and is chemically similar to – but not the same as – the contaminants discovered in the fatal outbreak in 1989. The researchers found that the new supplements have anywhere from 3 to 15 percent of the levels of contaminant that were linked to a 1991 case, in which a Canadian family became ill after taking 5-HTP. Even with small levels of contaminants, Naylor said, people could get a potentially toxic dose if they take too much. Because the supplements aren’t regulated, there’s no control over how much people take. At least one new book is recommending doses of 300 to 900 milligrams a day, which the doctors say could bring the contaminants to dangerous levels. “We would just like to let the public know that there is a concern, that they should be cautious, and they should certainly forgo taking high doses of 5-HTP,” said Naylor. The symptoms of EMS, a blood disorder, include fatigue, muscle aches, soreness, numbness, tingling and other nerve problems. Gleich said anyone who has been taking the supplements and is experiencing those symptoms, should call a doctor and have a blood test. “The potential, we believe, is there, and we think a warning is appropriate,” said Gleich, Naylor’s co-author. The Mayo clinic played a key role, along with the Minnesota Department of Health, in tracing the cause of the 1989 outbreak to the tainted batches of L-tryptophan. The manufacturer, a Japanese company, reportedly paid $2 billion to settle claims from the outbreak.